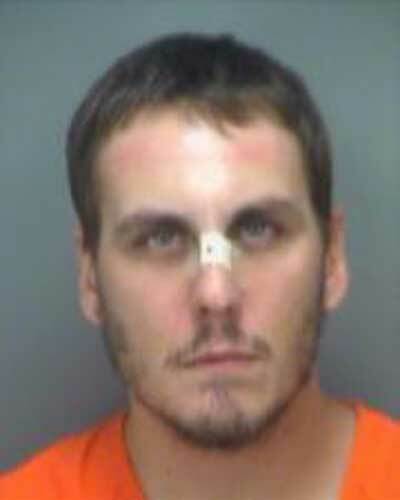 Derek Foreman, 30, of Largo, Florida, is currently nursing an injured nose. This follows an incident on Thursday when he allegedly head-butted his 55-year-old mother in the face during a confrontation about dinner arrangements at their home. “Def. 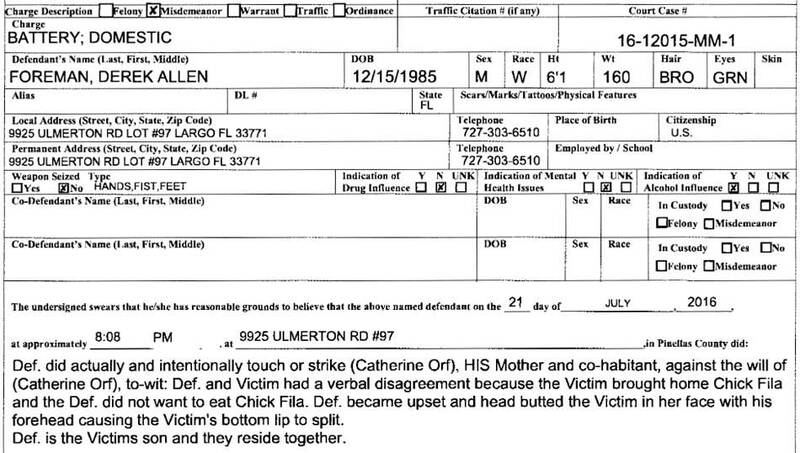 and Victim had a verbal disagreement because the victim brought home Chick-fil-A and the Def. 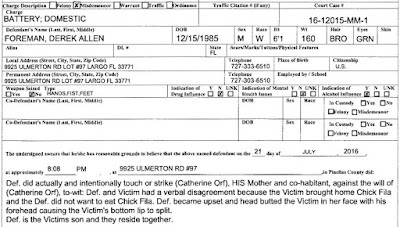 did not want to eat Chick-fil-A,” a criminal complaint notes. Faced with the fast food, Foreman “became upset” and head-butted his mother, causing her bottom lip to split, investigators allege. Foreman was arrested for domestic battery, a misdemeanor, and booked into the county jail. After a court hearing on Friday, Foreman was released from custody and directed to have no contact with his mother. A judge also ordered Foreman to be outfitted with a device that monitors his alcohol intake.